Nantahala Outdoor Center, the nation’s largest provider of guided outdoor experiences, has engaged Element Advertising to promote NOC’s premiere outdoor recreation and vacation products. Element Advertising’s services will include media planning, strategic guidance and creative execution. Element Advertising will soon be enjoying a guided Nantahala River whitewater rafting trip and a Mountaintop Zip Line Tour with their new NOC clients. The day will help introduce Element Advertising to two of NOC’s most popular products and will serve to develop an interpersonal relationship between agency and client. On Thursday, July 23, 2015 from 10am-4pm, OnTrack WNC Financial Education & Counseling will team up with First Citizens Bank’s Brevard Main Office at 96 South Broad Street to offer FREE credit reports and FICO scores. This event is open to the public and no appointment is necessary. The offer provides one free credit report and score per person. A photo ID is required for identification. An OnTrack WNC certified credit counselor will pull credit reports/scores and conduct a confidential, mini-credit report review to explain credit report basics and identify any immediate areas for improvement. Since OnTrack WNC is a local, housing counseling, non-profit, they are able to pull the report as a “soft inquiry” and it will not impact your credit score. Credit reports contain valuable information on borrowing and payment history that banks, credit unions, landlords, insurance companies, and others use to determine credit worthiness. The event provides the FICO credit score used in 90% of lending decisions. Additionally, to receive a more in-depth review and action plan to help improve or build credit, residents can sign up for free, follow-up credit counseling, an ongoing service offered by OnTrack WNC in Brevard thanks to support from United Way. 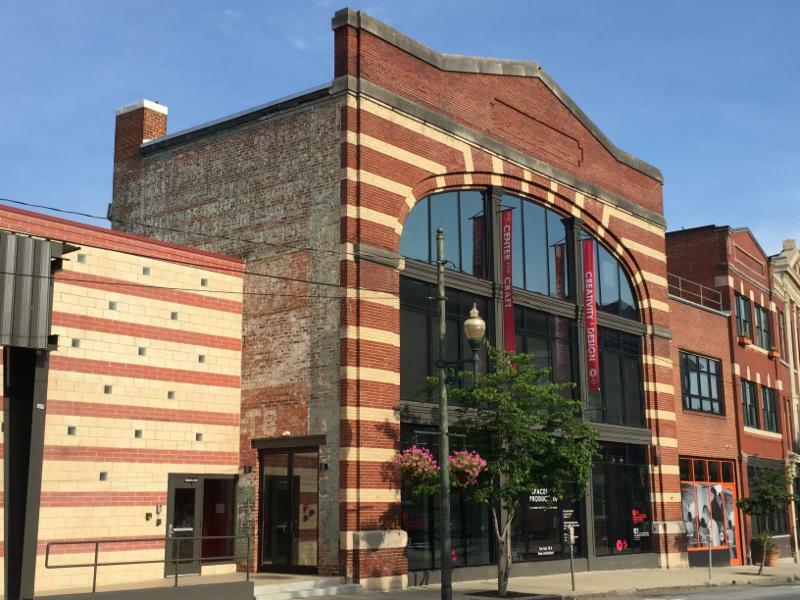 In January 2014, The Center for Craft, Creativity & Design (CCCD) relocated to downtown Asheville, North Carolina. Since that time, the national nonprofit organization has opened its headquarters to serve as a creative hub for residents and visitors alike. Now a contender for a grant from the Tourism Development Authority (TDA) Tourism Product Development Fund (TPDF), CCCD is poised for it's second phase of development: The Hive - a creative campus for making, learning and enterprise. * Phase 3: Makerspace/'Fab-Lab' for the region's artists and entrepreneurs, basement (Summer 2017). If awarded, TDA/TPDF funding will serve as match funds for the second phase of development. Phase 2 includes a 6,000+ square foot conference facility, an ideal venue for arts organizations and professionals to hold conferences, meetings, and retreats. The space is being designed to meet the needs of the cultural community, locally and nationally. "We're developing a new business model to sustain the nonprofit's operations and increase our program offerings," says CCCD Executive Director Stephanie Moore. "CCCD is uniquely positioned to serve as a bridge between academic organizations, cultural institutions, and creatives." Other funding partners include the Windgate Fund of The Community Foundation of Western North Carolina, Fleur Bresler and the Bresler Family Foundation, Warren Wilson College and private donors. CCCD has partnered with creative placemaking consultant Mike Marcus to further develop plans for the facility. "Asheville is known as a destination for artistic people. It's a large part of the 'vibe' that so many people talk about and that CCCD supports. Through extensive community outreach, we have identified both the need and opportunity for a physical place where learning, making and entrepreneurship intersect," says Marcus. "This is the perfect economic development initiative for the hospitality industry and the creative sector to collaborate on." Asheville-based architect Brandon Pass was chosen for the project based on his contemporary vision and thoughtful consideration to the tradition and materials of the region. "Our intent is to develop an environment that will express the communal and creative spirit intrinsic to Asheville. We will create a space to foster the processes of other thinkers and makers," says Pass. "Western North Carolina offers something extraordinary to the country that we are looking to highlight and promote. We want to preserve the rich legacy of this 1912 building, honor craft's historic and vital importance in the development of the region while looking toward the future," says Moore. The Hive will invite 'cross pollination' through collaborations, discussions, and sharing across disciplines, enriching local culture and national dialogue.